DIG ISSUE 63: WHERE'S THE LOVE? 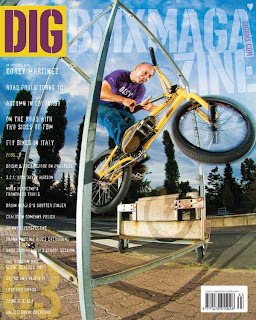 AN AUDIENCE WITH COREY MARTINEZ: Corey Martinez goes nuts AND fields questions on life, religion and riding. LOST FOR WORDS: Minimal reading/maximum radness! PROGRESS REPORT: Dan Boiski gets grilled on the contents of his ideal day.